That’s the description of FlexSlider on it’s homepage. FlexSlider was built to be the best responsive jQuery slider on the internet, and it arguably is. It is aimed at serving the newest of beginners, while providing seasoned developers a tool they could use with confidence. With the backing of WordPress powerhouse WooThemes behind it, expect big things from this project. With regards to licensing, FlexSlider was previous licensed under the MIT license, however, it is now licensed under GPL v2 and later. 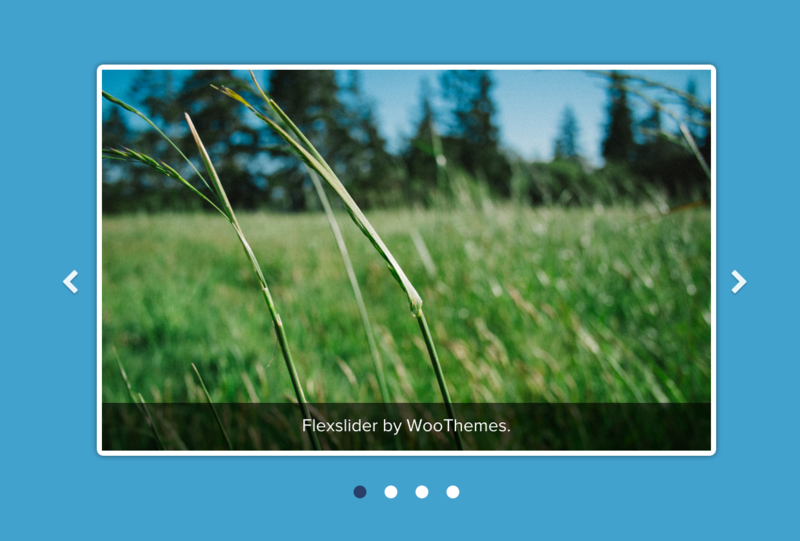 FlexSlider development has been on a hiatus for around 7 months during the latter part of 2014, however, since the beginning of 2015 WooThemes has put one of it’s senior developers on the project, and they have released 2 new versions since then. Follow the developments of FlexSlider on the development blog and on GitHub, where you can open a new issue, submit a pull request, or get involved in the community. Disclosure: the author of this article is the lead developer on the FlexSlider project.